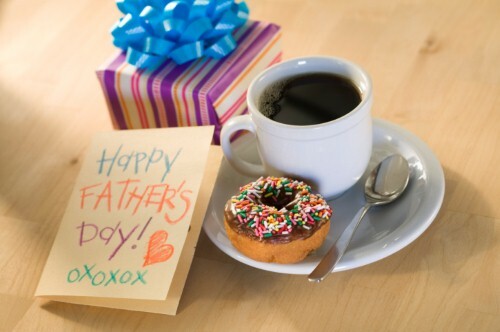 It can be hard to find the perfect gift for Dad that shows how much he’s appreciated every Father’s Day, but businesses can help encourage customers toward their products and services by supplying them with custom promotional products. Practical gifts ranked highest in a survey of intended Father’s Day gifts conducted by PriceGrabber, meaning most shoppers want Dad to have something he can use on a regular basis that will remind him of how important he is to family and friends. In addition, almost one-fourth said they would be buying a hobby-related present, increasing the likelihood that Dad would find regular value in the present. Dads are hard-working and need the best tools to get the job done. A hardware, utility or motor vehicle supply store might want to consider giving away flashlight pens that can easily be clipped to a shirt or pants pocket for use in tight places like under the sink or under the hood where a traditional light would be too bulky. A personalized pocket knife can also be handy when he needs to cut wires, open packaging or accomplish other small jobs and doesn’t have scissors handy or a bigger sharp edge would be inconvenient. When he’s not working around the house, though, Dad has a lot of work to get done at the office. A promotional wall calendar can help him keep track of appointments, while a personalized notepad will remind him of a special message even when he’s got other important things to take down and remember. Promotional pens will encourage future business with a supplying company while still providing a sleek and stylish writing implement that would go handsomely with pen boxes. The PriceGrabber survey found that roughly 20 percent wanted something for Dad to wear and be seen with. For those shoppers, a logo tote bag might be an appealing option as a promotional item as well as a practical gift that would be fun and functional. Seeing as the study found most consumers like a freebie added to a deal to make them more likely to buy, what better gift inclusion than a decorative personalized tote bag to go along with an item. Not only will Dad see the business name and associate it with the thoughtful purchase, but others will see and inquire about the brand too.